31 Commercial Real Estate & Properties in Rutherford are listed in 5 categories. We have 21 Industrial Warehouses Sale & Lease , 4 Retail ShopsSale & Lease , 2 Development LandsSale & Lease , 2 OfficesSale & Lease and 2 ShowroomsSale & Lease . Comprising of approximately 336m2 of floor area, this unit could be utilised for a range of businesses or professionals alike. The property consists of a main warehouse, with an attached office area which is split over two levels. 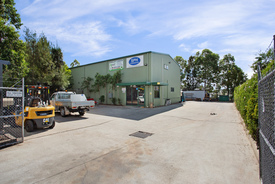 Located only 10 minutes from the Hunter Expressway and only 2 hours from the Sydney CBD, this building is perfect for anyone looking for more storage or wanting to grow their small business. • Off street parking • Full height roller door • Toilet facilities • Air conditioned • Surrounded by numerous businesses • Fully fenced yard Contact our team today to find out more! Positioned in the heart of Anambah's Industrial Estate, this 315m2 unit offers existing offices, showroom and warehouse area, along with a mezzanine level and full amenities. Located only a 40 minute drive to Newcastle CBD and a 2 hour drive to Sydney CBD. this building is perfect for anyone looking for more storage or wanting to grow their small business. • Off street parking • Full height roller door • Prime location • Surrounded by numerous businesses Contact our team for more information today! This free standing warehouse is conveniently located close to the New England Highway and Hunter Expressway within the sought after Rutherford Industrial Estate. 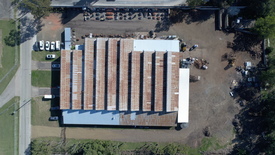 Property Features • Air conditioned office • Mezzanine level • 1,900m2 secure yard • 230m2 Warehouse • 5 customer parking spaces • Easy truck access • Great location • Negotiable terms • Zoned B5 Business Development • Ideal wide range of businesses and uses Approximate Subject to council approval To take advantage of this rare offering, please contact our team today. 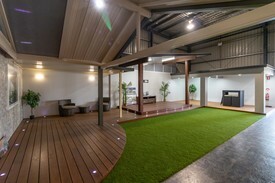 The 336m2 unit is comprised of a reception/office area, toilet, shower and an open warehouse space. The building is located just off the New England Highway at Rutherford. The property is only a 10 min drive to The Hunter Expressway and only a 2 hour drive to Sydney CBD. The building is perfect for anyone looking for more storage or wanting to grow their small business. • Off street parking • 3 Phase power • Surrounded by numerous businesses • Fully fenced yard Contact our team today to book an inspection! Located in the Rutherford industrial estate and available now is this boutique industrial unit with secure yard area. Rarely do such units come to the market. Property Features • High clearance roller door access • Aluminium & glass shop front entry • 164m2 warehouse • 35m2 secure yard • Full amenities • Allocated parking • Easy access to New England Highway and Hunter Expressway • B5 Business Development Zoning • Ideal for numerous uses Approximate Subject to council approval Contact our team today to arrange an inspection. Soon to be constructed are these boutique units situated within the Anambah Business Park. Ideal for anybody that needs that extra storage space. The units are suitable for Hobbyists, Car/Bike enthusiasts, Tradesmen and industries alike. Property Features 44m2 floor area per unit 3.6m x 3.6m roller doors Glass entrance door Concrete panel, color bond roof construction 24hr Surveillance Remote controlled entrance gate Upgrades available at cost For further detials contact our team today. Rare Industrial Warehouse With Large Yard Area $60,600 pa + Outgoings + .. 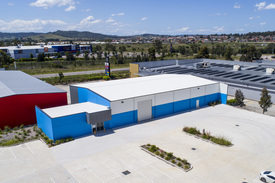 Brand new, showroom/ office / warehouse 374m2 with compacted hardstand yard of 1,160m2 Just off New England Highway at Rutherford Easy access with roundabout only metres away New estate includes Kennards Hire, Joy Global/ Komatsu, Caltex Truck Stop and many other high profile occupants. Motivated owner willing to consider options regarding lease of total area or extending the building. Located only 5 minutes North of Maitland’s CBD on Kyle Street, Rutherford this site has the added benefit of exposure to the New England Highway. The property currently has two other well established businesses in place which a new business may leverage from. Tenancy A: • Approximately 425m2 of floor area (see plan for options) • High roller door access • Office • Frontage to Kyle Street • Rent p.a via agent Tenancy B: • Approximately 220m2 of floor area • Approximately 1,040m2 of hardstand • Fully fenced yard • Own access via Kyle Street • Exposure to the New England Highway • Rent p.a via agent. See attached floor plans for layouts of tenancies. Located at the western end of Mustang Drive is this limited release of industrial blocks. Block sizes are ranging form 3,090m2 3,767m2 A busy estate with Hunter Valley location to major transport hubs, flexible zoning and level land makes this a favourite for mining support, engineering and other service support users. Join other major operators in this highly regarded business park, such as; Joy Mining, Caltex, Kennards Hire, Masters Hardware, Hunter Volkswagen Commercial and Pullins Floor coverings, just to name a few. This block won't last long, contact us today. Located in Anambah Business Park now available for lease is a choice of 5 units.. Each unit is 234m2 and includes an office/reception area. 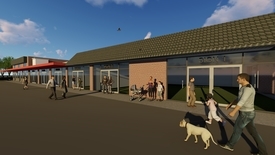 These properties would suit a range of commercial and light industrial uses. Key features • Air conditioned office • NBN ready • Motorised roller door (4.8m x 4.8m) • Toilet facilities • Fully fenced yard • Four allocated parking spaces Subject to Council Approval Contact the agent now to book an inspection . This affordable block won't last long Land area: 4684 Frontage: 40m Quality industrial land located on the West Side of Maitland, the estate has a long frontage to New England Highway and two round a bout access points. A busy estate with Hunter Valley location to major transport hubs, flexible zoning and level land makes this a favourite for mining support, engineering and other service support users. Join other major operators in this highly regarded business park such as: Joy Mining, Caltex, Kennards Hire, Masters Hardware, Hunter Volkswagen Commercial and Pullins Floor coverings, to name a few. . Flexible Terms On Offer Positioned within the north building of Rutherford’s shopping mall with neighbours such as IGA, Anytime Fitness, Coles, Aldi, and Amcal. . 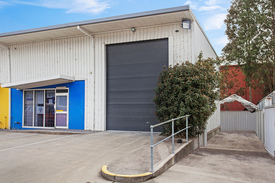 This property has it all, featuring: • Large open plan floor space • Rear loading dock with lockup garage • Mezzanine level for office space • Air conditioning • Full amenities • Prime shop front and large window displays Ideal for numerous uses (STCA) To arrange an inspection contact the agent today. . 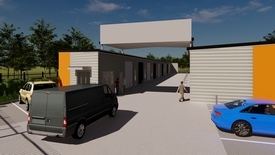 This well presented industrial facility would appeal to small tradies or storage users. Approx. 12m x 12m footprint Mezzanine level for light storage (approx. 6m x 12) Side yard (Approx. 60m2) for additional parking or storage Three on site car parks Rear unit in complex Security system Available now!!! Please call Michael Maffey on (0438) 049 366 now to arrange your inspection. Grab a bargain here! 420m2 Colourbond warehouse Concrete car park Part concrete / part compacted gravel hardstand of 2,000m2+ Excellent drainage Fully fenced & secure site Ready to occupy immediately If you want your own space and don't wish to share with other tenants or occupants, then this well maintained facility is what you have been waiting for. Please call Michael Maffey on 0438 049 366 now to arrange your inspection of this fine property. Located in one of the fastest growing regions of the Hunter Valley Prominent central corner position High pedestrian activity, great business exposure Waiting room with quality reception Three to four consultancy rooms plus a records room Ducted independent air conditioning Kitchenette / lunch room and two private internal toilet amenities Ample, easily accessed free parking nearby Directly opposite Woolworths entry to main Shopping Centre Close to ALDI, Coles and IGA stores Contact Patrick Mitchell on 0421 000 033 DISCLAIMER We have obtained all information provided here from sources we believe to be reliable; however, we cannot guarantee its accuracy. Prospective purchasers are advised to carry out their own investigations and satisfy themselves of all aspects of such information including without limitation, any income, rentals, dimensions, areas, zoning and permits. 30% pre leased to Harvey Norman • Option 1 1,500 m2 concrete panel building • Option 2 3,000 m2 concrete panel building • Option 3 lease vacant hardstand land only approx area 4,000m2 Rent: POA Areas: 1500m2, 3000m2 and 4000m2 Total land area: Approx 8399m2 Agents comment: Ideal for transport, storage and light fabrication businesses. Located in the popular industrial estate of Rutherford. .
• Office area 90m2 • Warehouse 648m2 • Plus yard area • Plenty of parking • High traffic area .